I’m Steve Holm, the Director of the Talent Solutions team which provides a variety of recruiting offerings supporting both marketplace and Enterprise clients. Under my umbrella is the Talent Specialists program, which I know has not been well received by many of you in the Community. The purpose of the Talent Specialists program is to help new and existing clients fill their job posts. As part of this effort, we send a great number of invites each month to freelancers to encourage them to apply to posts. I know that there have been a number of comments about the relevancy of some of these invites. It is not our goal to send invites that are a waste of both the freelancers’ and clients’ time. Our team relies heavily on the skills listed in the job post and skills listed on freelancers’ profiles when sending invites. Have mistakes been made, certainly. However, this is a small percentage of the total invites sent. Our program has been very successful in contributing to the fill-rates of jobs on Upwork and with assisting new and existing clients. That being said, we strive to do better. We hear your concerns and are making changes to address them. If you feel that you received an invite in error for whatever reason (relevance, budget, etc. ), we apologize. Please let us know by declining the invite and selecting appropriate decline reason. You also have the option to select “other” and provide additional feedback. We use this information to coach our team and correct potential future errors. If you would like to learn more about the program or opt-out from receiving invites, please visit our help page here. Have mistakes been made, certainly. However, this is a small percentage of the total invites sent. Our program has been very successful in contributing to the fill-rates of jobs on Upwork and with assisting new and existing clients. I think my main question about your post is this: Why now? My reason for not opting out is mainly that I've gotten used to the outlandish quality of the invites. Once you get adjusted to the idea that they've got a 99.7% chance of being off base, there's some sense of curiosity in terms of "what will they come up with next?" I guess my sense of suprise about the update is that people have been posting about the lack of effectiveness of the talent specialist invites for quite a while and wondering why resources seemed to be assigned to this particular strategy for attempting to fill positions. My main criticism is that the Talent Specialists don't seem to exercise any fundamental judgement skills when they're sending out the invites. My main conclusion is that you would likely experience vast improvements in the overall effectiveness of this program simply by asking the "specialists" themselves to read things. Another basic step would be for the specialists to learn what the job titles mean. On our end, what appears to have been going astray with the program is just that basic. As for any statements on this success of this initiative, my general feeling about the invites is that the net is cast so wide that you'd have to be doing something seriously wrong not to get any responses at all. Simply put, if you spam enough people with useless invites, you'll probably get some kind of result. Renata, I'd give you 100 kudos for this if I could! Instead I'll just state: AMEN, AMEN, and another AMEN!!! As long as those so-called "talent-specialists" just mass invite freelancers who may be faintly suitable, without any checking, you guys might as well let one of the infamous algorithms do the inviting. The results would likely be no worse, and at least we wouldn't wonder constantly whether any brain-cells were employed during the sending of most (!) of the invites. I've been invited to clear scam jobs, to jobs that have nothing at all to do with what I do, to jobs with budgets that are so far removed to what I charge that it's ludicrous. The last such invite I received was to a job I was already hired on- That one frankly took the biscuit. I guess one could say at least it was "relevant!" Mmmm... Update? Where's the update? I've posted this before, but I think I'll repeat it for the purpose of this thread. One of the other issues I have with the Talent Specialists is that the job title is misleading to both clients and freelancers. Talent Specialists, contrary to what the name suggests, don't actually have specialized training. The way the role is implemented on this platform, they're simply an extension of customer service. However, the name Talent Specialist, suggests that they might have some sort of HR experience or training, which is completely not the case. I'm not even sure if any of them even receive baseline screening to test that they have adequate language skills to handle their jobs. I've seen enough evidence to suggest most of these agents don't actually read anything that crosses their computer screens, including the job postings and the freelancer profiles. If they did, we wouldn't be seeing the stuff we're seeing. 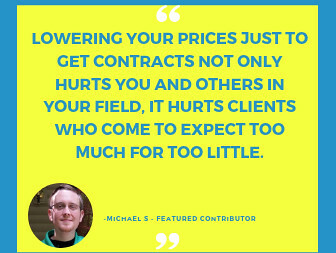 I've heard one of the other freelancers suggest that the Talent Specialist service as it is currently implemented might actually be doing more harm than good in terms of client perceptions of the level of professionalism of the platform. I think this is something someone in management should seriously consider. 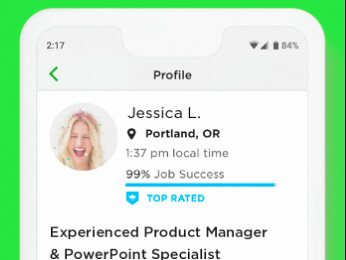 However, since UpWork seems hellbent on offering the Talent Specialist service, I think it would be easier on everyone if someone at UW could give them a non-hyped title that reflects their actual level of expertise and the function they actually fulfill. Since they are not Human Resources specalists, as the name suggests, I think the title should be changed to something like Customer Service Search Assistants. That way, the expectation of the service they are supposed to perform and the implied level of training and expertise they have to carry that out will be more in line with what they can actually do. I think the repetitive strain of the complaints about their service might be alleviated if their title communicates something that's more in line with reality. I've heard that a good strategy in contracts is to avoid overpromising but to overdeliver on what you do promise. It seems that the Talent Specialist program has for the most part consistently overpromised and underdelivered. A big part of that is embodied in the job title. THIS. A client who depends on the TS program to show them the best of what UW has to offer, in terms of freelancers who fit their needs, is NOT going to get an accurate picture. Steve, none of us are going to fall for this. Every post in the Community about Talent Specialists is negative. Many wonder if they're legit at all, or if they're part of yet another scam on the platform - especially when the recommendations are often TO SCAM JOBS in the first place! Show us ONE freelancer who has found a new, lucrative contract through the Talent Specialist program. I'm not talking about the bottom of the barrel data-scrapers at $3-5/hour - show us something REAL. Unless you can share actual data proving that this program has any positive effect on Upwork at all, there's no reason to continue it, and every reason to just end it completely. The fundamental pointlessness/inefficiency of the Talent Specialists program, at least as far as the professionals who post regularly in the forums are concerned, was neatly summed up by a regular who noted (I am paraphrasing slightly): "The invitations do not result in a few rare misses... Rather, the floods of invitations result in a few, rare, remarkable and notable occasions when the job is actually an appropriate match in terms of skills and asking rate!" Hew to the Latin aphorism: exceptio regulam probat (It is the exception that proves the rule.) 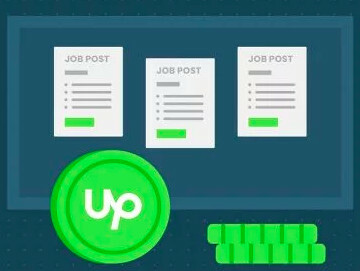 It is any successful and appropriate Talent Specialist invitation that causes excitement, buzz, astonishment, and gawping among seasoned Upwork regulars. That is really all that you need to know.